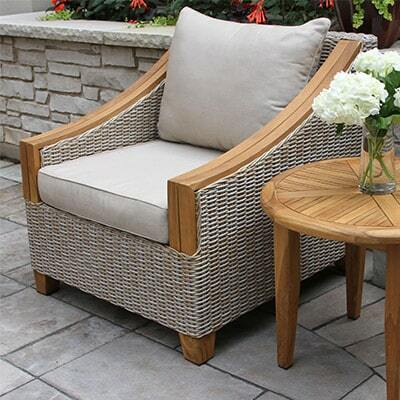 The Outdoor Interiors 34″ Dia. 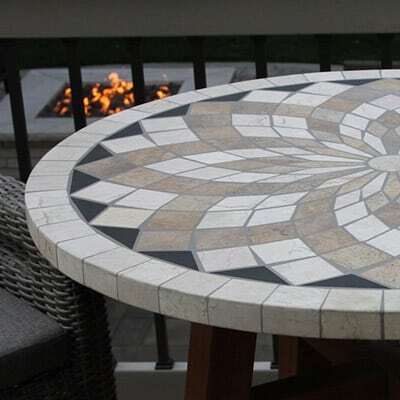 x 36″H Counter Height Spanish Marble Mosaic and Brazilian Eucalyptus Table brings mixed material styling to your patio, balcony or deck. 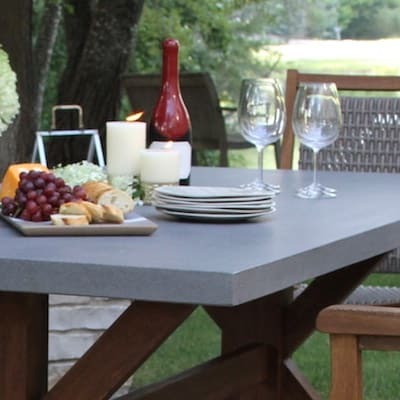 The Counter Height Table Top is made from natural marble and a unique resin-based grout for long-lasting outdoor use and exceptional durability in all climates. 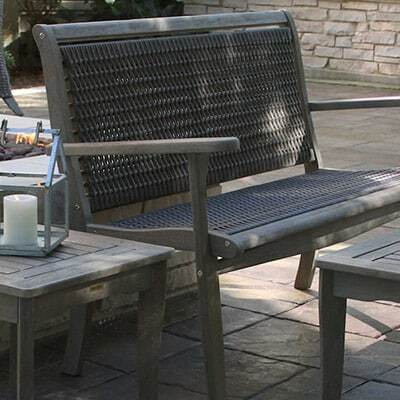 Our quality materials and handmade construction separate us from similar looking products in the marketplace. The table base is made from plantation grown Brazilian eucalyptus hardwood and is finished with a beautiful brown umber stain. 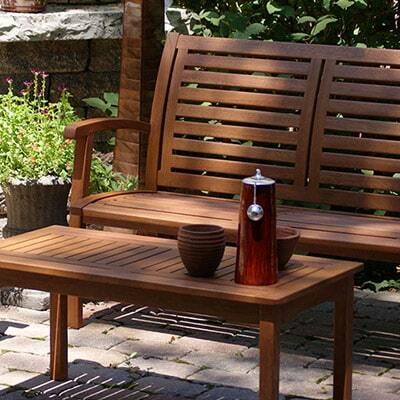 To maintain the stain and finish on your Outdoor Interiors Brazilian Eucalyptus furniture, we recommend teak, refined or boiled linseed oil to be used at least 2 times in the spring/summer sunny seasons. All new furniture should be oiled prior to use. The number of applications vary depending on direct sunlight, temperature and dry climate versus more humid regions. The look of your furniture will provide tell-tale signs along the way, so “Please Oil” accordingly. Many items can be oiled in actual work time under 15-20 minutes with light cleaning first. Do not apply any oil in direct sunlight. Apply oil generously and wipe away excess oil with a dry cloth approximately 1-2 hours after application and potentially the next day as well. CAUTION: Oil soaked rags should be disposed of carefully. Stone sealant should be applied once a year to protect the grout and natural stone from the elements. If stone and grout becomes soiled, use a mild detergent with water and a soft cloth / soft brush for cleaning only. Do not use abrasive cleaning products.